With each passing week, researchers are reporting on the connection between the immune system and the health of the digestive system. 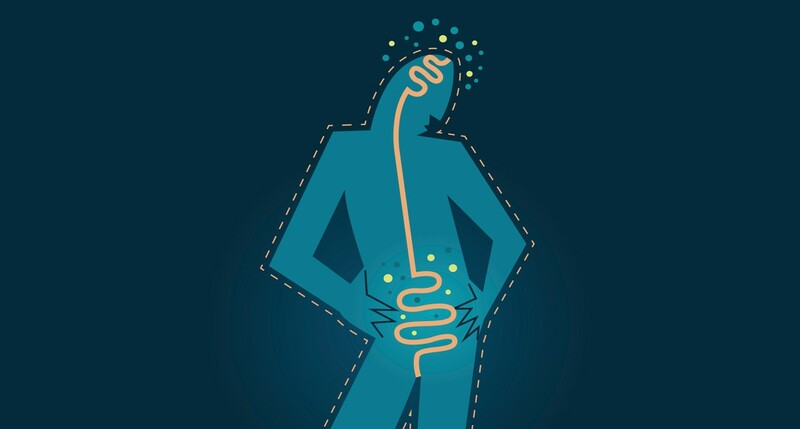 I see a wide range of digestive issues in my patients who I treat every day and have put together the following blog series exploring, The Gut Microbiome and What It Means for Your Health. Spoiler Alert – it means a lot! Stay tuned for more in my blog series on the gut microbiome. What is the gut microbiome and why should you care? With each passing week, researchers are reporting the connection between the immune system and the health of the digestive system. The gut microbiome, aka the beneficial bacteria in the gut, has become the focus of successful research into a myriad of conditions. Chinese medicine has incorporated gut health into overall healing for thousands of years. The human intestinal microbiome includes over 1,000 species and up to 100 trillion beneficial bacteria of various species. The microbiome includes all the organisms that live in or near your body, such as bacteria, viruses, fungi, protozoa, worms and all of their genes. The development of each person’s unique microbiome begins before birth with changes in the mother’s vaginal lining and gut bacteria. In vaginal birth, babies are colonized with Lactobacillus and other good bacteria. Studies have shown that babies born by C-section are not only not inoculated with good bacteria but are more likely to have more bad bacteria like Staphylococcus. Research shows that the development of many diseases, including arthritis, dementia, heart disease, and cancer can be associated with gut health and the microbiome. Genetics, environment, stress, diet, antibiotic use all impact a person’s unique microbial footprint. Gut associated lymphoid tissue (GALT) is a component of the thin mucosal lining of the intestines. The microbiome is a community of microbes. Microbes are bacteria that live in the body, mostly in the gut. Each individual’s microbiome consists of 10-100 trillion symbiotic microbial cells and their genes. Probiotics. The term probiotics is derived from a Greek word meaning “for life” and describes live microorganisms which have beneficial effects on their host. Examples of probiotics are lactobacillus cultures, saccharomyces boulardii, Streptococcus thermophilus, Bifidobacterium lactis. Prebiotics. Prebiotics are non-digestible fibers that support the growth of certain microorganisms in the colon. Synbiotics. Synbiotics are combinations of probiotics and probiotics generally found in fermented foods that include fiber as well as live bacteria. These include fermented foods such as pickles, sauerkraut, and kimchi. What are the main jobs of the intestinal flora? Protect against invaders such as bacteria and viruses. As you might remember from high school biology class, the body is like a donut and the intestines are part of the outside of your body. The mucus membranes that line the intestines act like the skin in that they provide a barrier between the outside world and the interior of the body. Regulate inflammation and immune system response. Over 70%of the immune system lives in the lining of the gut. You can read more on the gut associated lymphoid tissue (GALT) below. Assist in digestion and nutrient absorption. Certain bacteria help nutrients transport through and between cell walls. Support the production of enzymes and amino acids that are important in digestion. Communicate with the endocrine system to help balance cortisol and other aspects of the stress response. Help detoxify substances that reach the intestines. Stay tuned for the next blog in my series on the gut microbiome where I discuss, What Happens When the Balance of Flora Goes Awry!